Dr Jitka Kochanek is Project Leader of the Plant Growth and Productivity Laboratory in The School of Agriculture and Food Sciences. Her team’s research is directly targeted to address key industry needs – primarily to develop new technologies to boost productivity of food farming systems. For her largest project, her group are working with the Australian Vegetable Industry, UWA and overseas research collaborators to develop technologies that optimise crop growth and improve resilience to climatic extremes. Funding is from the Australian Vegetable Industry and Horticulture Innovation Australia (2015 to 2020) and early stage commercialisation of successful technologies is projected to occur from 2020. Since 2010, Jitka has secured four projects as Chief Investigator (CI) from Australian Competitive Grants and has successfully completed four projects as CI. Jitka was CI on a 5-year study that demonstrated that organic waste from cities, farms and other sources could be made into useful products for horticulture, agriculture, soil remediation and other uses - having real market opportunities while being economically viable and environmentally beneficial. Funding was from Brisbane City Council and Horticulture Innovation Australia (2010 to 2015). Jitka is now working with a cross-disciplinary team to develop Australia’s first waste recycling demonstration facility where it is envisioned that experimentally validated technologies will be built on a pilot scale to transform organic wastes into tailor-made products for specific applications in plant and soil related industries (watch this space). Jitka is also involved in broader projects such as optimisation of coconut micropropagation, exploring novel techniques to induce resistance to disease for the Fijian Tomato Industry and producing more nutritious food through crop trace element biofortification. Throughout her career, Jitka has been instrumental in developing innovative techniques to solve complex problems, such as the development of a tool to accurately screen plant responses to chemical compounds (UQ Award, 2012) and identification of a novel by-product from pyrolysis with high potential for improving mine site remediation and native plant revegetation success (UQ ECR Award). Jitka is a RHD supervisor and lectures across topics in agriculture, horticulture and environmental science. Jitka’s scientific training was in horticulture, seed biology and plant ecophysiology. 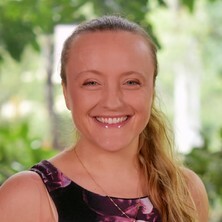 Her PhD research, in collaboration with the Kew Gardens Millennium Seed Bank Project (UK, 2004 to 2008), was among the first studies to clearly confirm empirical evidence for epigenetic effects in plants (or animals). For her postdoctoral research at the Centre of Native Floriculture (2008 to 2010) Jitka worked within a team to solve agronomic hurdles for growers of emerging floricultural crops (plant nutrition, agronomy) and undertook research into pigment biochemistry to enhance future floricultural breeding programs. Kochanek, Jitka, Steadman, Kathryn J., Probert, Robin J. and Adkins, Steve W. (2008). Seed longevity can be changed by the pre-zygotic parental environment. In: Australasian Plant Conservation. ANPC Seventh National Conference: Our Declining Flora – Tackling the Threats, Mulgoa, N.S.W., Australia, (2-2). 21-24 April 2008. Kochanek, J., Steadman, K. J., Probert, R. and Adkins, S. W. (2008). Seed longevity can be modified by the parental environment in selected Australian native plant species. In: A Green Future? Biodiversity under Climate Change' Forum, Pullenvale, Brisbane, Australia, (). April 12 2008. Kochanek, J., Steadman, K. J., Probert, R. J. and Adkins, S. W. (2007). The effects of provenance and plant growth environment on the seed longevity of the genus Wahlenbergia in Australia. In: S. Turner, D. Merritt and S. Clarke, Proceedings of the Seed Ecology II Conference. Seed Ecology II 2007: The 2nd ISSS Meeting on Seeds and the Environment, Perth, Western Australia, (44-44). 9-13 September, 2007. Kochanek, Jitka, Steadman, Kathryn J., Probert, Robin J. and Adkins, Steve W. (2007). The impact of maternal vegetative stress on seed longevity. In: Seed Symposium Abstracts: Diversity in Seed Technology. 28th ISTA Congress 2007, Iguassu Falls, Brazil, (). 5-11 May 2007. Kochanek, Jitka, Steadman, Kathryn J., Probert, Robin J. and Adkins, Steve W. (2007). The impact of provenance, season and seed differences on the seed longevity of nine Australian native species. In: Seed Symposium Abstracts: Diversity in Seed Technology. 28th ISTA Congress Diversity in Seed Technology, Iguassu Falls, Brazil, (11-11). 7-9 May, 2007. Johnston, M. E., Bauer, L., O'Brien, S. and Kochanek, J. (2005). Dormancy issues for Australian floricultural species. In: S.W. Adkins, P.J. Ainsley, S.M. Bellairs, D.J. Coates and L.C. Bell, Proceedings of Fifth Australian Workshop on Native Seed Biology. Fifth Australian Workshop on Native Seed Biology, Brisbane, Australia, (89-96). 21-23 June, 2004. Kochanek, Jitka (2008). Parental Growth Environment Modulates Seed Longevity: Investigations Using Australian Native Species PhD Thesis, School of Land, Crop and Food Sciences, The University of Queensland.